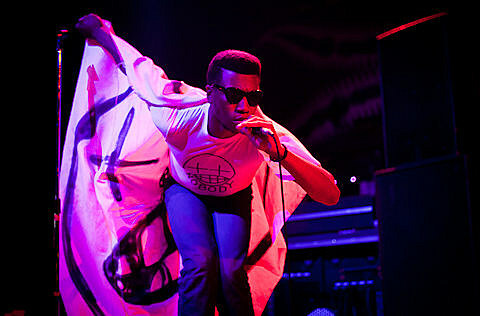 Tickets to see Willis Earl Beal at Schubas go on sale today (Friday, August 16) at noon CST. Tickets to see Phantogram at the Vic Theatre go on sale today at 10AM. Tickets to see Half Moon Run at Subterranean go on sale this Saturday (8/17) at 10AM. Tickets to see Emeli Sandé at the Vic Theatre go on sale this Saturday at 10AM. Tickets to see Melt Banana at Double Door go on sale this Saturday at noon. Tickets to see John Vanderslice at Schubas go on sale today at noon. Tickets to see Drive-By Truckers at the Vic Theatre go on sale this Saturday at 10AM. Tickets to see Chris Cornell at the Cadillac Palace Theatre go on sale today at 10AM. Tickets to see Jessie Ware at the House of Blues go on sale today at 10AM. Tickets to see Sebadoh at Schubas go on sale today at noon. Tickets to see Minor Alps at Schubas go on sale today at noon. Presale tickets to see Alkaline Trio, New Found Glory, and H2O at Aragon Ballroom go on sale today at 10AM. The password is ak3nfg. Tickets then go on sale to the general public on Wednesday, August 21 at noon. Tickets to see Active Child at Lincoln Hall go on sale today at noon. Tickets to see Mono and Mick Turner at Bottom Lounge go on sale today at noon.